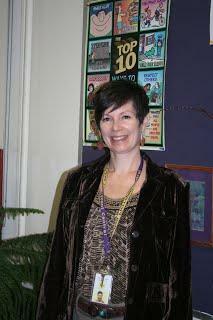 Mrs. Knight was employed as a school psychologist for 20 years prior to joining the CPCS team. As Director of Pupil Services, Mrs. Knight chairs the Committees on Preschool and Special Education (CPSE and CSE) and oversees the special education programs. She also oversees the remedial and math programs (Title I and Academic Intervention Services), is the Grants Coordinator and District Data Coordinator, is the District Liaison for children in temporary housing, and is responsible for the K-6 Summer School program. Please feel free to contact Mrs. Knight for more information about any of the above areas. 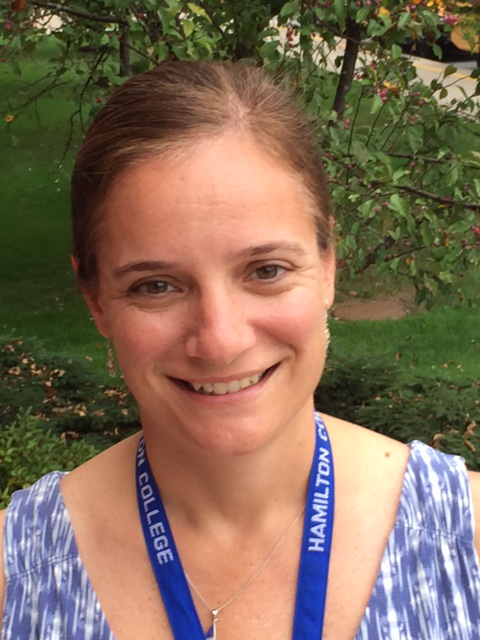 Ms. Reichhart has joined the CPCS team two days per week- Tuesdays and Thursdays. As the School Psychologist, she will conduct evaluations for the Committee on Special Education (CSE) and Section 504 Committees. Ms. Rechhart will also provide direct and indirect support to students, teachers, and the counseling department concerning students' academic progress and school behaviors. Ms. Reichart can be reached directly via email creichhart@cpcs.us or by calling the school. We are excited to have Ms. Reichhart on board! Free Training for Parents/Families of students with disabilities! 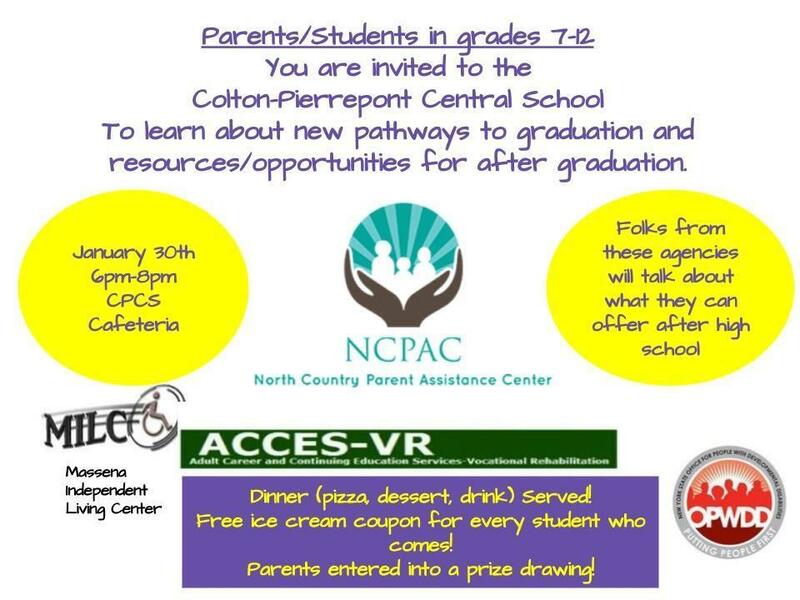 In addition to the monthly sessions on this flyer, the North Country Parent Assistance Center will offer training on any topic during evening hours if that is more convenient. Please contact Mrs. Knight if you are interested.